All sadhana and spiritual effort lays stress on the importance of self-giving to the Divine. But this is not easy to do. How does one give oneself to the Divine? Is it through the mind? Is it through the heart? Is it through the inner being? 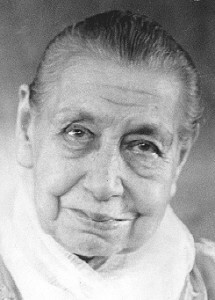 In this talk, the Mother explains the role of the mind and the heart, and what happens when one is in the true consciousness, and she speaks about the joy of self-giving and the joy of victory. There are people in whom the psychic movement, the emotional impulse is stronger than intellectual understanding. They feel an irresistible attraction for the Divine without knowing, without having the slightest idea of what it is, of what it can be, what it represents—nothing, no intellectual notion—but a kind of impulse, attraction, a need, an inevitable need. And these people who have that, if, I may say as a result of the Grace, they have a mind which does not trouble them, does not question, does not discuss, go very fast. 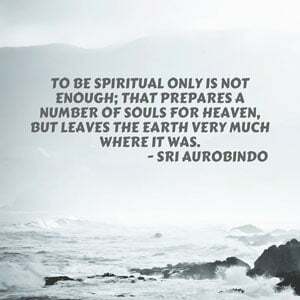 And then, what is quite miraculous according to ordinary ideas is that as soon as they reach that degree of consecration which identifies them through their psychic being with the Divine Presence, suddenly they become endowed with capacities of expression absolutely unknown to their nature. I had a case like this in France, a long time ago, of a young, very young girl who had never had any education so to say, any instruction; she was an Opera dancer, a very good one, and had been put to study there at the age of eight, as they are always put, that is, as a child; and she had learnt to dance instead of learning history, geography, mathematics and the rest. She almost did not know how to express herself, and her intelligence, though evident, was untrained. Well, she was attracted like that and felt an imperious need to seek the Divine, to consecrate herself to Him. And she began to dance in His honour at first, like the juggler of Notre Dame; and she truly danced most remarkably. And then, suddenly, she wanted to express what she was feeling: she began writing letters which were wonderfully poetic; she said surprising things and in a still more surprising way; page followed page, and she wrote all with an extraordinary facility. It happened that, due to certain circumstances, she had some difficulties, there was something in her nature which pulled her back towards the old nature she had given up—which made her practical and materialistic, made her see things externally. And immediately she became incapable of putting two words together, she could not write a line without making numberless spelling mistakes. When she was in the state of inspiration she wrote without a mistake, like a great writer; and as soon as she came out of that state and fell back into her down-to-earth consciousness—the needs of life, the necessities of each minute, etc.—everything disappeared, she could not even write a single line without making mistakes and it was totally unrefined stuff. So you see, this proves that if one attains the true consciousness, there is no longer any problem to solve. What you have to be, you become. What you have to know, you know. And what you have to do, you have the power to do. And it naturally follows that all those so-called difficulties immediately vanish. In the case I am speaking about, what pulled her down was not something in herself, it was in another person. And unfortunately that’s what happens most often: one takes on in life the burden of certain responsibilities and they prevent him from advancing. There are others who understand first, who are very intellectual, have studied, can play with words and ideas, who will give you brilliant lectures on all the philosophies, all the religions, all human conceptions and who, perhaps, will take years to advance one step. Because all that goes on in the head. Many things go on in the head. I have told you this already several times, the head is like a public square. Anything at all can enter there, come, cross over, go out, and create a lot of disorder. And people who are in the habit of playing with ideas are the ones most hampered from going farther. It is a game that’s pretty, attractive; it gives you the impression that you are not altogether ordinary, at the level of ordinary life, but it cuts the wings. It’s not the head which has wings: it’s the heart. It’s this… yes, this inevitable need. Nothing else counts. That’s everything. Only that. And so, after all, one doesn’t care a rap for obstacles and difficulties. What can that do to you?… It doesn’t count. One laughs at time also. What does it matter to you if it takes long? For a much longer time you will have the joy of aspiration, of consecration, of self-giving. For this is the one true joy. And this joy fades away when there is something egoistic, and because there is a demand—which one calls a need—which is mixed in the consecration. Otherwise the joy never disappears. This is the first thing one obtains, and the last one realises. And it is the sign of Victory. So long as you can’t be in joy, a constant, calm, peaceful, luminous, invariable joy, well, it means that you have still to work to purify yourself, and sometimes work hard. But this is the sign. It is with the sense of separation that pain, suffering, misery, ignorance, and all incapacities have come. It is with an absolute self-giving, self-forgetfulness in a total consecration that suffering disappears and is replaced by a joy which nothing can veil. And only when this joy is established here in this world can it be truly transformed and there be a new life, a new creation, a new realisation. The joy must first be established in the consciousness and then later the material transformation will take place; but not before. Truly speaking, it is with the Adversary that suffering came into the world. And it’s only joy which can vanquish him, nothing else—vanquish him definitively, finally.